This is the story of a hard drinking sheriff Wade Whitehouse working in a small town in New Hampshire. His ex-wife and daughter think he is basically worthless. His girlfriend encourages him with all of his pursuits. A good friend of his Jack goes on a hunting trip with a friend and one the friends dies during the trip. Jack returns to town claiming it's an accident. Wade decides to investigate, even though it's his friend and the friend says it was an accident. What happens next is unexpected and deals with issues of the conscience and loyalty. 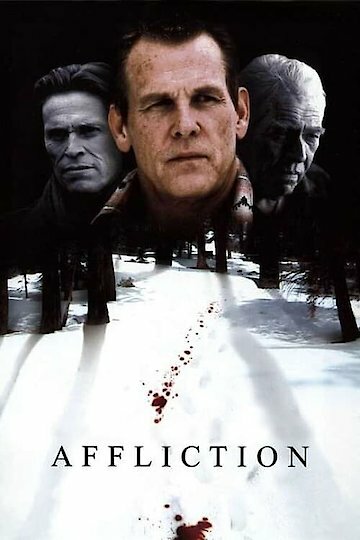 Affliction is currently available to watch and stream, download, buy on demand at Amazon Prime, Hulu, Starz, Vudu, iTunes, YouTube VOD online.